Many musical acts of wildly different sound and character have ruled the charts over the years, but few have been able to replicate the success of ABBA. The Swedish pop group formed in 1972, and over time released a series of catchy tunes that would ultimately change the face of pop music forever. 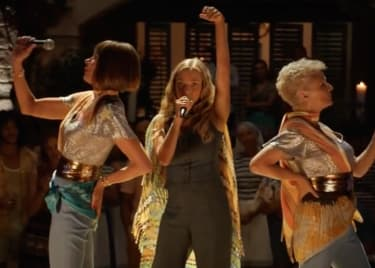 With hits like ‘Dancing Queen,’ ‘Waterloo,’ and ‘Mamma Mia,’ the foursome became one of the most celebrated acts in music history. Years after their success, in 1999, the stage musical Mamma Mia! was written as a jukebox musical, featuring ABBA’s signature tracks. Mamma Mia! was adapted into a film in 2008, with a star-studded cast including Meryl Streep, Christine Baranski and Julie Walters. 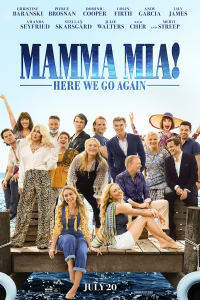 This summer we’ve fallen in love with the music of ABBA all over again as the cast reunited for the sequel, Mamma Mia! Here We Go Again, opening in theaters on July 20. 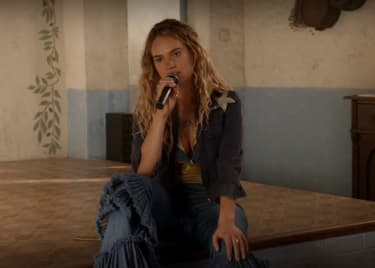 The new film has an even bigger cast and more colorful scenery, but all these factors are tied to another set of songs from the Swedish superstars. Why do we love ABBA’s songs so much? Why has their music transcended time, and why does it still resonate with listeners today? Let’s take a look. You could make a whole list of reasons why ABBA’s music still resonates today, but it really comes down to a few factors that make the songs timeless. The primary reason is that their songs are accessible but not impersonal. ABBA sounds like they’re singing to one another, but also directly to each member of the audience. They create big pop songs that have a sense of intimacy. ABBA’s music resonates on a personal level, because the themes and stories that run through songs like ‘Knowing Me, Knowing You’ or ‘The Winner Takes It All’ are universally accessible. Their songs are about heartbreak and heartfelt goodbyes. It’s stuff we’ve all experienced. The feelings behind the lyrics are timeless, and anyone — no matter how young or old — can relate in some shape or form, whether it’s a dance song or a ballad. And ABBA, as a group, was almost a personification of happiness. Their bold and bright costumes complemented their upbeat, catchy tracks. They were a light for music lovers during the ’70s. Their tracks still broadcast that uplifting and escapist attitude today; that’s one reason ABBA songs are mainstays at weddings and proms. Catchy beats in songs like ‘Dancing Queen’ create irrepressible dance floor energy. Considering ABBA’s success, it would be pretty hard for anyone to be unfamiliar with the group. Anyone who still hasn’t experienced their joyous songs now has the chance to become a fan through the musical Mamma Mia!. The show has been a stage mainstay for the better part of 20 years, having opened on the West End in 1999. It is still performed on stages around the world today. Theatre shows tend to have a limited run — especially those on the West End and Broadway — and yet Mamma Mia! has remained, demonstrating the constant response to and love for ABBA’s music. Mamma Mia! Here We Go Again, a sequel that took a huge amount of work and planning to pull together, is further proof that ABBA’s music is timeless. After all, the original film’s popularity is what led to the sequel. The new film will likely introduce a whole new audience to the Swedish quartet’s library of songs, continuing ABBA’s legacy for yet another generation. Mamma Mia! Here We Go Again is in theaters on July 20. Amanda SeyfriedJulie WaltersMeryl StreepOl ParkerMusicalSequelUniversal PicturesChristine BaranskiMamma Mia!